The British New Wave group, The Buggles, once famously sang, “Video killed the Radio Star.” The song was a direct comment on the climbing popularity of television and rapidly declining popularity of radio. Many people believed that the era of radio would soon pass away. In the modern internet age, where everything is undergoing a digital revolution, the old school radio has managed to stay a part of mainstream culture. The internet has only added another dimension to the radio universe, albeit a digital one. One of the most popular activities amongst internet users is to log on to digital stations on the internet and listen to their favorite genre of music. 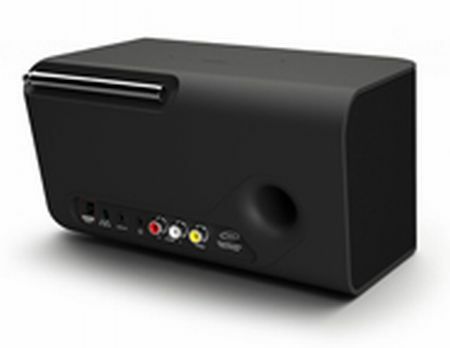 Another reason for the radio’s ‘never say die’ popularity is the introduction of new age radio sets that can stream internet radio and double up as a music-dock as well, especially for your iPods. 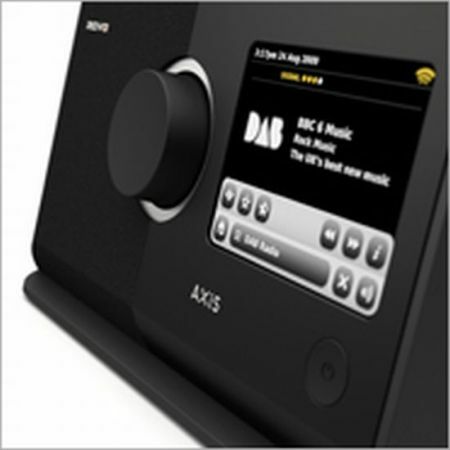 The Revo Axis Radio is a digital radio set that represents the brand new and hip personality of online radio. Traditionally, radio sets have not been known for their aesthetics, but the Revo Axis is a stunner. It has a frame that is curvy enough to be sensual and angular enough to be sophisticated. A design balance that is not the easiest to execute. Right in the center of the radio set sits a circular volume dial. The body of the Revo Axis is covered entirely in black and is divided into two equal parts: a loudspeaker and a touch screen interface. For a compact and portable radio set, the loudspeaker of the Revo Axis delivers an amazing sound experience. The speakers have NXT’s patented Balanced Radiator technology, which delivers clear tones thick in bass. 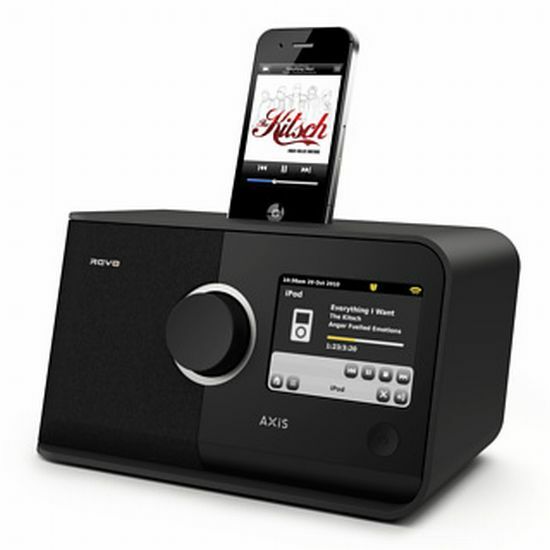 Its amazing sound apart, what makes the Revo Axis one of the best radio-sets out there is its multitasking abilities. Available for £199.99 , the Revo Axis has a 3.5-inch touch screen interface that allows the user to explore and navigate through the radio’s multiple functions. 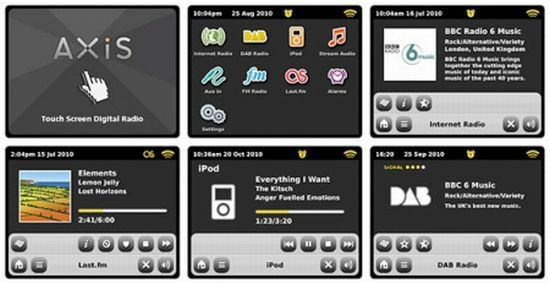 With one touch on the menu screen, the user can log onto internet radio, surf through various Digital Audio Broadcast (DAB) stations, tune in to local FM stations, or stream music from an iPod, Mac, or PC. The user can also access a 30-day free trial on Last.fm. You can even use the set as an alarm clock and wake up to your favorite song. With the Revo Axis, the radio is all set to rock the new millennium as well. I am sure if you will be interested in learning about other gadgets that have add-ons such as MP3 Player Alarm Clock and classy Boom Box.